Are you familiar with the song “Strange Fruit”? 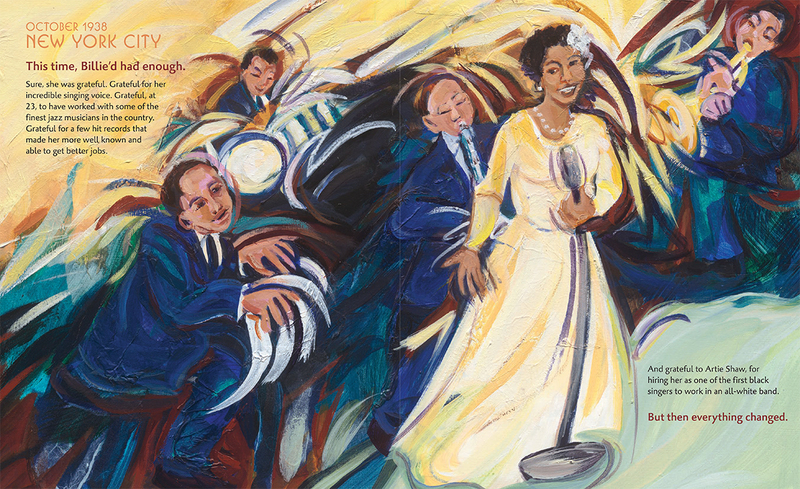 In 1999 Time magazine called this song, first sung by the legendary Billie Holiday, the song of the century. 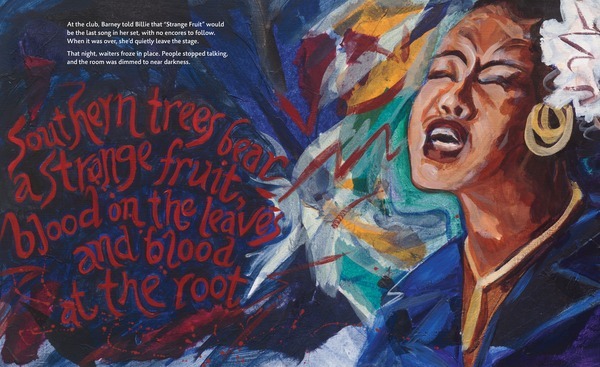 Last month, we published the picture book Strange Fruit: Billie Holiday and the Power of a Protest Song written by Gary Golio and illustrated by Charlotte Riley-Webb. 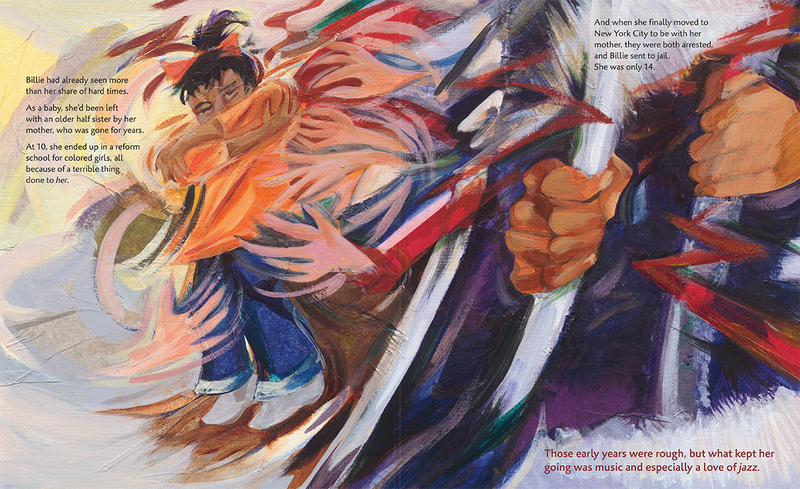 It tells the story of how this protest song came into being, portrayed in a way young readers (ages 8 and up) can understand. This week, Seven Impossible Things Before Breakfast blogger Julie Danielson interviewed Charlotte Riley-Webb for Kirkus Reviews. Julie: What do you hope child readers take away from this true story? Charlotte: I hope that by reading this book children see that they have the ability to affect change in the areas that they are passionate about as they travel through life. I hope that their curiosity to know more will lead them to read other books of this nature, initiate conversations with their families and learn to appreciate the struggles and sacrifices of their ancestors, and ultimately commit themselves to doing good in the world. To read the full interview on Kirkus Reviews‘ website, click here. As you may know, the song “Strange Fruit” has also been in the news lately, making this book a timely resource. 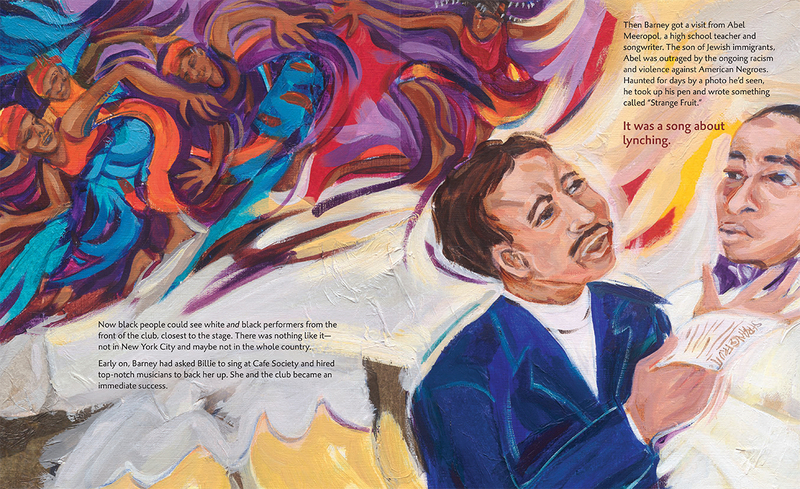 You can pick up Strange Fruit at a bookstore or library near you or order it on lernerbooks.com.